Choose from framed or frameless styles to ensure the look and style you want. Custom designed to your specifications. High quality architectural glass, aluminium, stainless steel and/or wire products. Indoor and exterior stairs, staircases, balconies, decking, fences, patios, verandas, galleries. For modern home renovations or in commercial, retail and hospitality industry upgrades/ new installations. • All balustrades supplied and installed by ClearConcepts conform with Australian Standards AS 1170 & 1170.01 – 2002 of the Building Code of Australia. 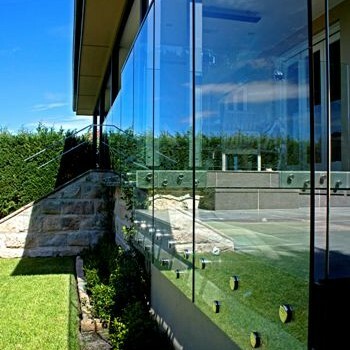 • Glazing: all balustrades glazing complies with AS1288 2006 of the Building Code of Australia. ClearConcepts is located in Balgowlah, Sydney and is ideally located to service clients in the northern beaches, north shore and north western suburbs of Sydney.